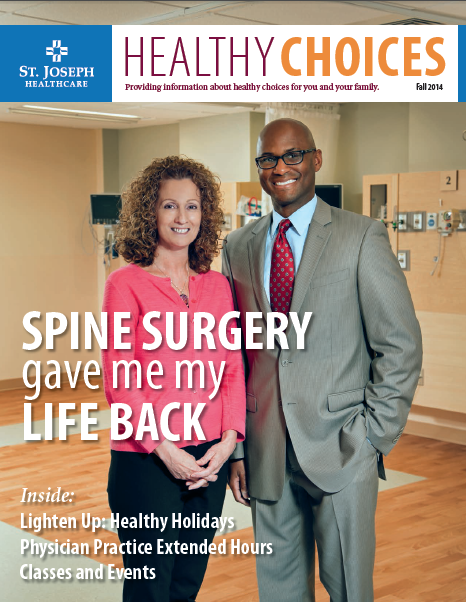 New Hampshire NeuroSpine Institute: "Spine Surgery Gave Me My Life Back"
"Spine Surgery Gave Me My Life Back"
Dr. Adrian Thomas of New Hampshire NeuroSpine Institute was featured in this month’s issue of St. Joseph Hospital’s newsletter, Healthy Choices. This article titled “Spine Surgery Gave Me My Life Back” includes a powerful testimonial from one of Dr. Thomas’ patients. It is so inspiring to see the positive and life altering impact of our health care professionals!